States that do not conduct TET Exam to recruit candidates for the post of Teacher select candidates through CTET Examination. It was notified earlier that CTET Examination will be conducted twice a year. CTET Exam will be conducted offline. Candidates can apply online for CTET Exam after the notification for the same has been released. The Notification for CTET 2019 has been finally released. Candidates will get every detail regarding CTET 2019 examination like CTET 2019 Exam Dates, CTET 2019 Syllabus, CTET 2019 Eligibility Criteria etc. through CTET 2019 Official Notification. Unlike previous year, CTET will be conducted on 7th July 2019, the dates for which have been finally announced. CTET Online Application will start from 5th February 2019 and the online application will close on 12th March 2019. Candidates who wish to apply for CTET 2019 can do so by clicking on the link mentioned below. Last date to submit the fee is 15th March 2019. The Online Form Correction Date has been extended. Click on link below to correct your CTET Online Application Form. Start your effective preparation for CTET 2019 today with CTET Mock Test Series. The Mock Test Series is designed on the latest pattern and syllabus of CTET 2019 Exam. The exam dates for CTET 2019 is yet to be announced by Central Board of Secondary Education. Attept CTET Mock Test by clciking on the link given below. The official notification for CTET 2019 has been released by CBSE notifying the Exam Dates for CTET 2019 Exam. Check the complete schedule below. Paper I is conducted for candidates who aspire to become teacher for Class I to V and Paper II is conducted for candidates who aspire to become teacher for Class VI to VIII. Candidates can also apply for both Paper I and Paper II. The mode of Questions asked in both Paper I and Paper II is Objective Multiple Choice Questions. Paper asked in CTET 2019 will be bilingual, i.e. in both English and Hindi. Candidates are required to score a minimum of 60% to qualify CTET 2019 Exam. One major thing to note is that the score of CTET is valid for 7 years after the result has been declared for the same by CBSE. A candidate is required to login to the official website of CTET to apply for CTET 2019 Exam. A candidate belonging to either General or OBC category is required to pay Rs. 700/- (if applying for either Paper I or Paper II) and Rs. 1200/- (if applying for both the papers). The same amount is reduced to Rs. 350/- (if applying for either Paper I or Paper II) and Rs. 600/- (if applying for both the papers) for candidates belonging to SC/ST/PWD category. The syllabus of CTET 2019 focuses mainly on student’s welfare. The main areas are Child development and pedagogy and concept of education in schools. Language is one section a candidate needs to be master in to clear CTET 2019 exam. Apart from that Mathematics, Science/Environmental Science are also major sections that a candidate needs to focus on to ace CTET 2019 Exam. To know the detailed syllabus of CTET 2019 Exam, click here. CTET Admit Card for Written Exam will be released by CBSE soon after the Online Application for CTET 2019 is over. The admit card/call letter for CTET 2019 exam will be uploaded on the official website the link to which is mentioned below. 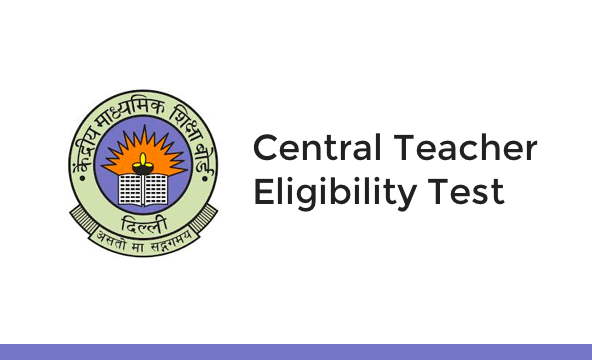 Candidates are required to download the CTET 2019 admit card from its official website. Admit Card will be released separately for candidates applying for Paper I, Paper II, for both Paper I and Paper II. CTET 2019 Results will be declared by CBSE after the examination of CTET is conducted. To check CTET 2019 Written Exam Result by clicking on link mentioned below. The final list will be prepared in accordance to the marks obtained by a candidate in CTET 2019 Exam as well as the concession granted by Government to candidates belonging to reserved categories. CTET 2019 cut off will be released after the CTET 2019 Exam has been conducted. The candidates appearing for CTET will be issued Marks Statement. The Candidates securing 60% (General) and above marks will be issued Eligibility Certificate. School Managements (Government, Local bodies, Government aided and unaided) may consider giving concessions to the person belonging to SC/ST, OBC, differently abled persons, etc., in accordance with their extant reservation policy."